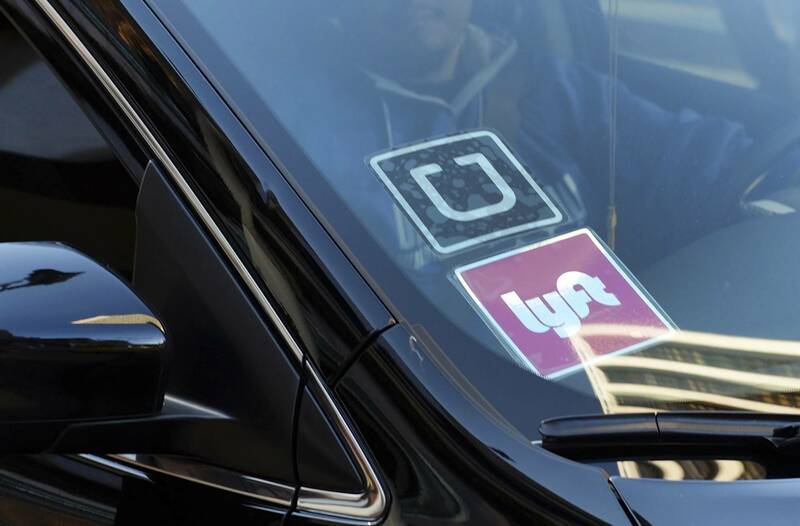 With a spike in the number of furloughed federal employees seeking unemployment benefits in January, some agency workers have sought to make up for lost income by taking advantage of the “gig economy.” They might drive for rideshare platforms like Uber and Lyft, or make deliveries. More than 10,000 furloughed federal employees filed for unemployment benefits in the first week of January, nearly double the number that had sought those benefits the week before, according to figures the Labor Department released Thursday. At first, Joseph Booth, a furloughed Census Bureau employee who works on the agency’s website, thought the shutdown would be over in a few days. But after one week passed, Booth realized that he and 380,000 other furloughed workers might have to have a fall-back plan. “I started getting the sense of, ‘Oh, this could go a little bit longer,’” Booth said in an interview Monday. Most furloughed employees missed their first paycheck last Friday, but despite missing his Census pay, Booth said he got his weekly pay from his delivery gig on Monday, which helped meet household expenses. Statistically, Booth and his family find themselves in a better financial situation than most furloughed federal employees. The National Bureau of Economic Research in 2015 found that the median federal worker only had enough assets to cover eight days of average spending before the 2013 shutdown. The 2013 shutdown also marked the first time Booth had been furloughed from the Census Bureau. Following the 2013 shutdown, Booth and his wife, who works in the private sector, created an emergency fund that would cover six months of expenses for their household. While his family hasn’t had to dip into their emergency fund just yet, he said they haven’t been able to put away additional savings. Booth’s household includes four children, one of whom is a freshman in college. “Spring tuition is due in five days,” Booth said. Federal employees can’t take “outside employment or any other outside activity that conflicts with the employee’s official duties,” according to an Office of Government Ethics memo from 2016. Those governmentwide prohibitions include not trading on insider information, or taking any work that would affect an employee’s impartiality at their agency job. Federal employees also can’t use their government jobs for personal gain, which includes “compensation for teaching, speaking, or writing related to an employee’s official duties,” the OGE memo states. “The general regulation is, ‘If you want to go work at Target over the holiday season to make some extra money, or you want to drive Uber night and weekends to supplement [your income] – generally speaking, yes, that’s not really a problem,” Chris Keeven, a partner at the firm Shaw Bransford & Roth, said in an interview Thursday. However, obtaining that permission poses challenges for federal employees who didn’t anticipate taking up gig work before the shutdown started. However, D’Agostino added that rank-and-file employees shouldn’t face too much trouble taking up most gig work. “I would be shocked if lower-level employees end up facing discipline because they drove for Uber or did another sort of gig where there’s clearly no conflict of interest with government employment,” she said. Ryan Nunn, a fellow in economics studies at the Brookings Institution and policy director of The Hamilton Project, said gig work helps cut down on training time for workers only looking for temporary jobs. According to the market researcher Packaged Facts, more than 76 million adults have given gig economy jobs a try, while more than 26 million working adults have second jobs. While most gig economy jobs rely on independent contractors, and don’t offer benefits, “federal employees can go back to positions with lots of perks and benefits,” Packaged Facts states in a new report on federal employees entering the gig economy. Booth said he’s gotten “tips and tricks” from other DoorDash delivery workers, but so far, but said he hasn’t encountered any who identified themselves as federal employees.